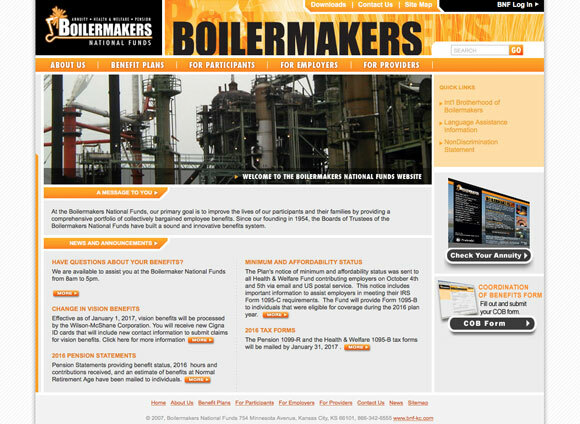 An Ektron CMS site built for Boilermakers Nationals Funds by my team at Group 3 Solutions. Principle design was provided by Gary Schroer and the lead developer was Duane Boudreaux. 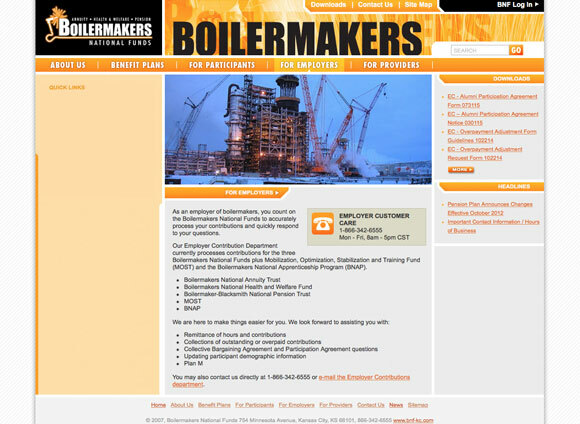 I provided project planning, project management, client training, and some design services for this effort. Update: As of 2017 this website is still operational. Remarkable for a site from 2007.